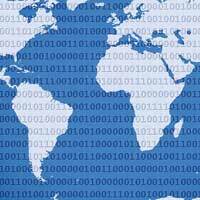 Especially if you suspect your site is often accessed from developing countries, a CDN becomes even more efficient, as the infrastructure is often less advanced. Even if you think your website is very fast, it may not be the case in say, Gambia. But even sites that only target a specific country will always have users that travel and want to access the site from abroad. Also, countries like the USA, Russia, China, etc. are too large to be served efficiently from just one location. So, enough reasons to implement a CDN, especially as implementing one does not have to be very difficult or expensive. If you need an easy to set up CDN, try KeyCDN (free trial). It's really fast and offers free Let's Encrypt SSL integration. Also you can try it out for free with no strings attached! What does a CDN do? Anything non-static, like the ever-changing content of your articles, i.e. the HTML files, should not be fetched from the CDN. Often, 75% of the size of your website will now be pulled from the nearest server of your CDN provider. You clearly see the difference: instead of the relative URL that would pull the image from the website's domain, it is pre-pended with the domain of the Content Delivery Network. For your CSS and Javasscript files it does not matter too much that these URLs are a bit long and funny, but with a good CDN you can make the URL's prettier. You are then requested to configure a CNAME record on your domain (with your own webhost), say cdn.joomlaseo.com, and your files then seem hosted on a subdomain of your own site instead of directly on the CDN. If ths sounds complicated, just forget it, usually you should be fine without any issues. However, if you want to configure your CDN with a custom domain, I have a very in-depth blogpost about this. Sign up with a CDN service. There are many, some expensive, some cheap or even free, or services that only bill used bandwidth, which make them nice for smaller sites. Configure the CDN in Joomla, usually using an extension. As an alternative, you can choose a webhost that offers CDN functionality through their Cpanel. Siteground.com is an example, where you can switch on the CDN (by Cloudflare) without any configuration in Joomla. KeyCDN: Easy to implement and quite cheap for smaller sites ($0.04 for the first 10TB). Recommended, and used on this site. For most providers, some basic configuration is usually needed on the CDN side. You will usually have to enter your site's URL first, plus some additional settings. Some of these settings will then have to be entered in the settings of the plugin that you choose in Joomla. An exception is the free Cloudflare integration for Siteground customers. In this case, you can activate the CDN from within the Siteground Cpanel settings. Click the Cloudflare button, enter you email for a free Cloudflare account, and your CDN is immediately ready, without any further configuration in Joomla (see their tutorial). An extension that might not pop-up immediately when you look for plugins to support CDN's is JCH-Optimize. Between all the other tools to enhance website speed, it also offers CDN functionality in one of the advanced tabs, though currently limited to Amazon Cloudfront and MaxCDN. Set-up for all these plugins is usually pretty easy to do, depending on which one you choose. Here on the Joomlaseo.com site I use the NoNumber solution with KeyCDN, see an extremely detailed tutorial on that in our blog about setting up a Joomla CDN with NoNumber. This tutorial also describes how you achieve a nice custom domain for your URLs. In some cases, you may have issues with your webfonts not being shown. Some browsers may refuse to ​embed the font when it's coming from a 3rd party URL because it's a security risk. In cases like this, use the code in this MaxCDN blogpost to allow them. I discuss this one in a Cloudflare blogpost further on this site. Cloudflare is extremely easy to set up as providers like Siteground and others offer free one-click configuration. The nice thing as you do not have to perform any changes in Joomla, you do it all from the webhost. You will then see your domain in the list. The status field will show In Progress for 10-15 minutes before the files propagate to the AWS network. In the mean time, record the Domain Name, which usually looks like this: dygofnoea4ttg.cloudfront.net or something like that. Now your set-up should be complete and your static files will be served from the AWS Cloudfront network. Note the Zone URL that has been created. Record or copy this. 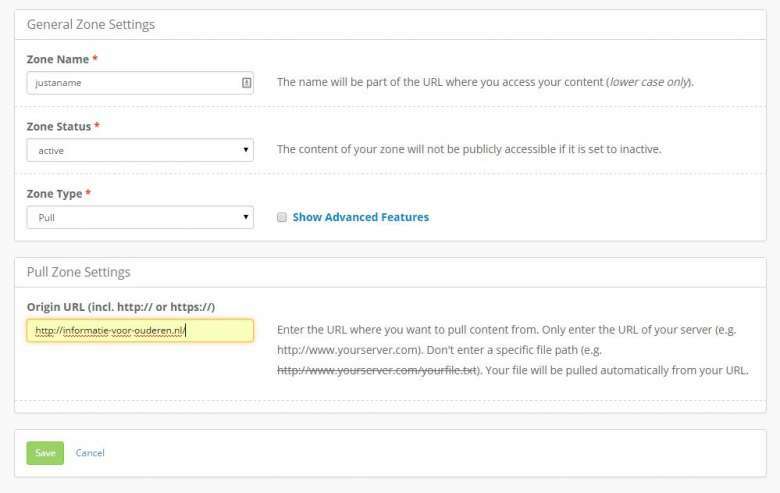 Then install CDN for Joomla from NoNumber and enter the recorded Zone URL in the CDN Domain field. That's basically all, as simple as that. It is also quite easy to use a custom domain like cdn.example.com. Check the MaxCDN tutorial for some details about how to set this up on the host side.